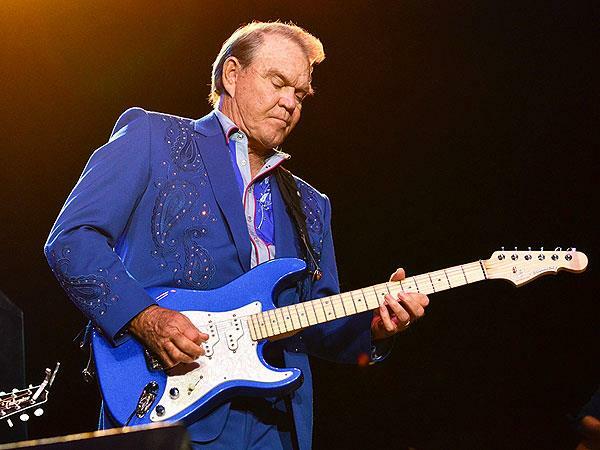 In June 2011, the “Rhinestone Cowboy” himself, Glen Campbell, announced to the world that he was suffering from Alzheimer’s disease. His experience with the chronic neurodigenerative disease was documented in an award-winning documentary, “Glen Campell … I’ll Be Me,” which follows Campbell and his family as they embark on his final tour as a country music legend. The tour, sadly dubbed “The Goodbye Tour,” found Campbell backed by a band that included several of his children. Volunteers of America of Kentucky and LeadingAge Kentucky will present a private preview screening of the film at Baxter Avenue Theatres this weekend. Tickets are free, but you must reserve space. The film will show at 7 p.m. on Friday, Feb. 27, and 3:10 p.m. on Saturday, Feb. 28. “I’m Not Gonna Miss You” is a gut-wrenching Campbell song from the documentary and was nominated this year for an Oscar for “Best Original Song.” It lost out to John Legend and Common’s “Glory,” but it was performed at the Oscars by Tim McGraw. It was a moving performance (if a bit off key, if a friend is to believed). But here’s the original. If the video doesn’t sock you right in the gut, then you’re probably an alien.